"You really believe in a man who has helped to save the world twice, with the power to transform his physical appearance? Who travels through time and space in a police box?!" A new year, a new season and a new format along with a new Doctor. And all in full glorious colour for the first time. It really was all change for the series in 1970. In fact, on screen, the only link with what had gone before was the returning Brigadier Lethbridge Stewart who now became a regular character in the series. 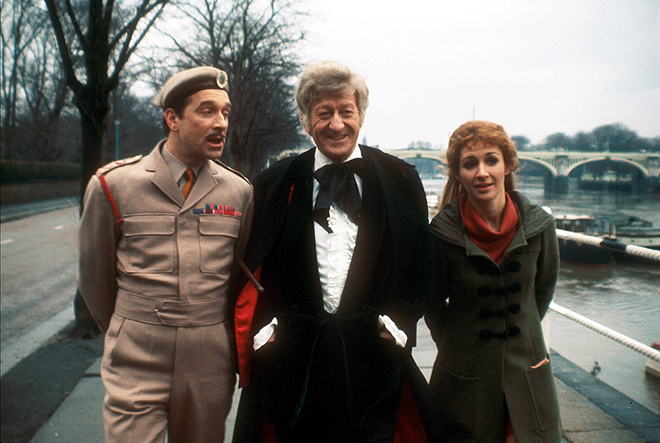 The Brigadier, still in command of UNIT, is backed up by Doctor Liz Shaw as his Scientific Adviser. However, it's clear that the Brig is pining for that other Doctor who had helped him against the Yeti and Cybermen. Fortunately for Lethbridge Stewart, the Doctor arrives fresh from his trial (or being manhandled by scarecrows if you were a TV Comic reader) along with a new face. Yes, Jon Pertwee's Third Doctor is here. Once all the confusion surrounding his new appearance has been sorted out, the Doctor throws in with UNIT and agrees to help them out in exchange for the facilities he requires to get the now-disabled TARDIS working again. Thus is the new format for the series forged. The Doctor, for the time being at least, is a time traveller no more. Fortunately, the Time Lords have chosen to exile him to a period of history where his particular skills and expertise are much in demand at various top secret scientific establishments. The first two stories of this season introduce races that will appear several times in the series right up to the present day. 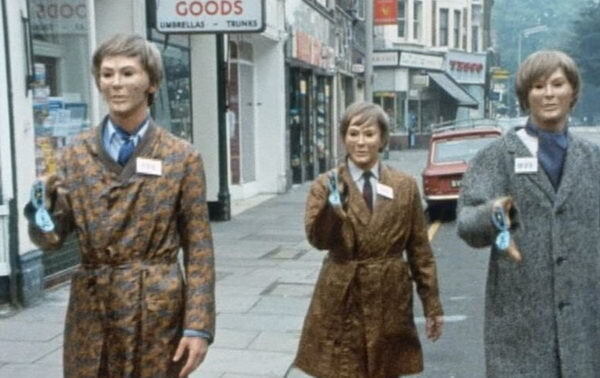 'Spearhead from Space', as well as being the Doctor's debut, also features the introduction of the Nestene Consciousness and their plastic soldiers, the Autons. Meanwhile, 'Doctor Who and the Silurians' (and yes that the is the title that appears on screen) marks the first appearance of, well, the Silurians - a reptilian race who inhabited Earth before humankind and who have now awoken after being in suspended animation for millions of years. 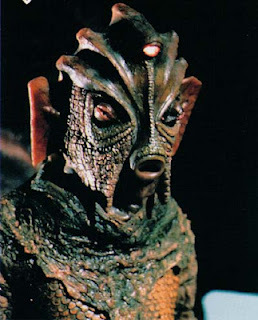 Of these two races, the Silurians are undoubtedly the more interesting. 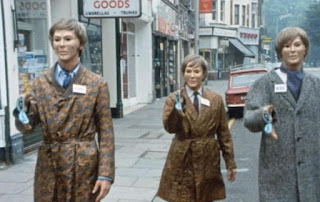 While the Nestene and Autons are simply alien conquerors who now want to invade Earth, the Silurians are a little more complex. They too want the Earth as their own but, as they argue, the Earth was already there's to start with. Mankind only inherited it after the Silurians put themselves into hibernation and overslept. 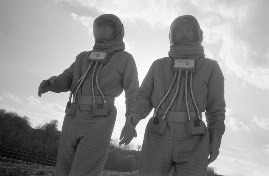 It's hard not to fee some sympathy with their plight and indeed the Doctor does at least until one Silurian tries to wipe out the human race with a killer virus. The Brigadier, however sees things differently. Rather than give the Silurians the opportunity to negotiate some sort of peace with the humans he takes matters into his own hands and seals them in their underground base much to the Doctor's disappointment. The next story, 'Ambassadors of Death', is similarly not as simple as it first appears. Initially starting out as a story about missing astronauts, it quickly becomes something of a conspiracy thriller in which no one can be trusted and where the true villains are not the titular Ambassadors but the insane General Carrington and his followers. For the second story in a row we are presented with a race of beings who are not the world-conquering villains that they at first appear to be. And so season 7 concludes with 'Inferno' the Doctor Who version of Star Trek's 'Mirror Mirror' episode. The Doctor, in a desperate attempt to get the TARDIS to work uses power from the Inferno project, a top secret scientific project to drill down to the centre of the Earth. Unfortunately the Doctor finds himself flung 'sideways in time' to a parallell Eath and a parallell Inferno project, albeit one that is a few hours closer to penetrating the Earth's crust. Just like all good parallel world stories the Doctor ends up meeting alternate versions of people he knows. 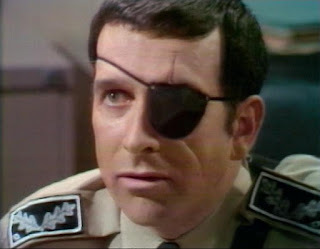 Thus Liz Shaw is now a soldier rather than a scientist and the Brigadier had become the Brigade Leader, complete with an eyepatch and a lack of facial hair. He's also a thoroughly nasty piece of work in this alternative fascist world. The Doctor here is faced with a difficult moral dilemma. The Inferno project in this reality has failed and primordial forces from beneath the Earth's crust are threatening to destroy the world. The Doctor can't save this alternate world from its grim fate but he can go back to his own reality and stop the same thing from happening there. But can the Doctor really abandon the alternate versions of his friends to their fate or should he try and save them too? 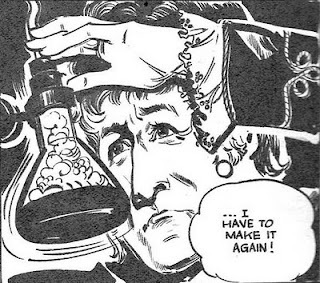 In the end, the Doctor is forced to return to his own reality alone, just in time as it happens to save his version of the Inferno Project from going the same way as the alternate universe version. But seeing another world destroyed in flames while he was powerless to do anything to stop it is something that will haunt the Doctor for a while yet, as we shall see next season. 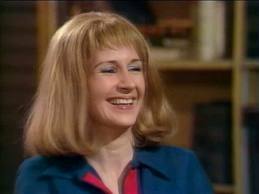 What we won't see next season though is Liz Shaw. Actress Caroline John had decided to leave because she was pregnant however producer Barry Letts had decided to write the character out anyway as she was apparently not proving particularly popular with the viewers. The decision to write out Liz was taken quite late in the day so there wasn't the opportunity to give her a proper leaving scene. Thus Liz simply disappeared after 'Inferno'. Perhaps fittingly though the final shot of the season is of Liz, laughing at a bickering Doctor and Brigadier. Inferno marked the end of Season 7 of Doctor Who, quite a different season from those that had gone before. When Doctor Who was commissioned for its seventh season it was by no means guaranteed that it would continue beyond that. However, the new, arguably more 'grown-up' direction of the series, along with Jon Pertwee's dashing, debonair, dandy version of the Doctor had won the viewers over and Season 8 was on its way. Once again there was nothing released in terms of audio this year. Just the Annual again this year. 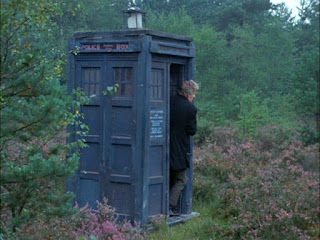 The stories all follow the new format of the TV series with the Third Doctor stranded on Earth, working alongside UNIT. In TV Comic, it was more or less business as usual. The TV series might have adopted a more grown up approach but the comic strip stories were still firmly aimed at the very young, making the contrast between strip and TV series ever more obvious. As on TV, the Doctor was ably assisted by the Brigadier and, for a short time at least, Liz Shaw. Unfortunately the artwork on the strip by this point was rather poor and it was at times difficult to recognise the main characters. Liz actually looked quite good however both the Doctor and the Brigadier look like caricatures of themselves.